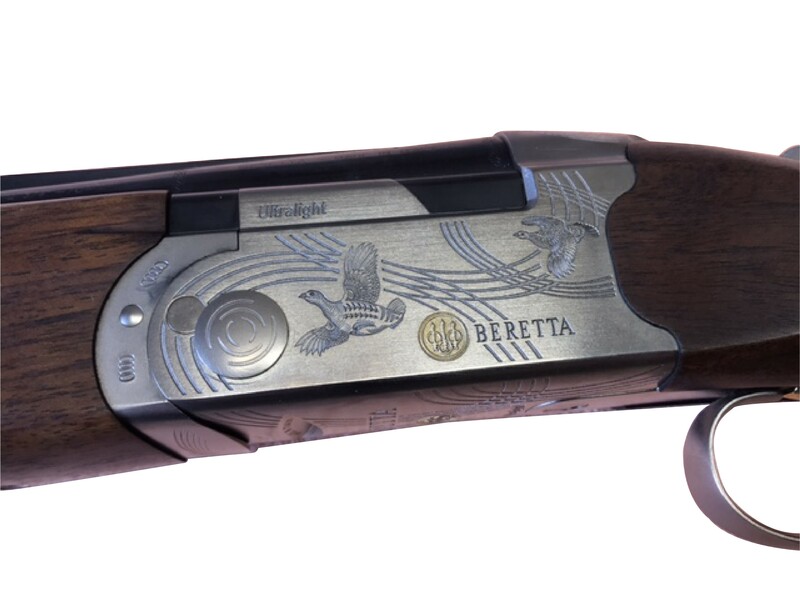 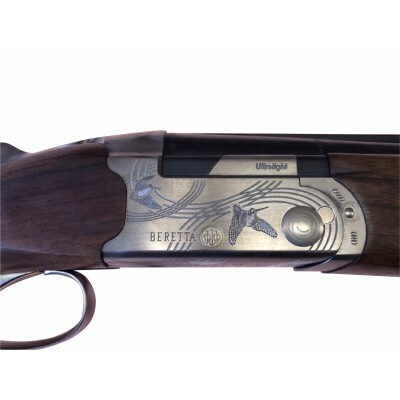 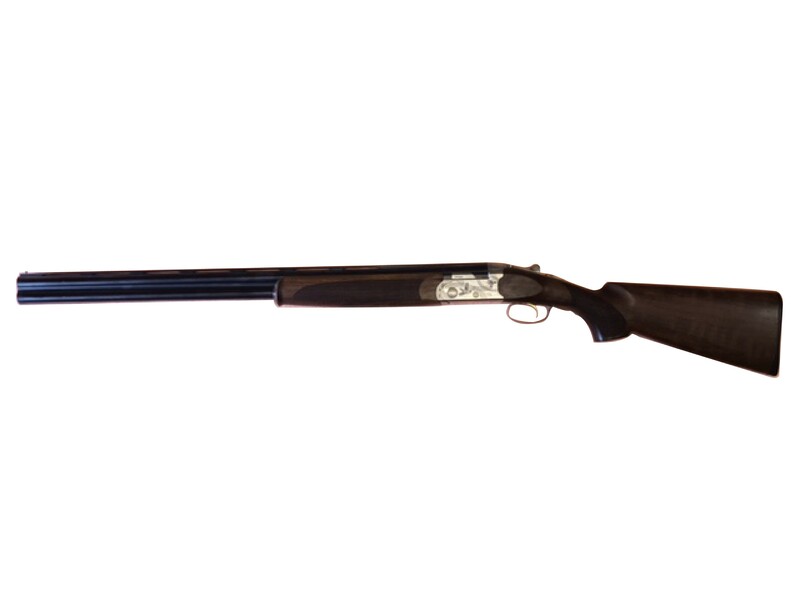 Game scene engraved ultra light action depicting partridge and woodcock, and finished with gold Beretta inlay. 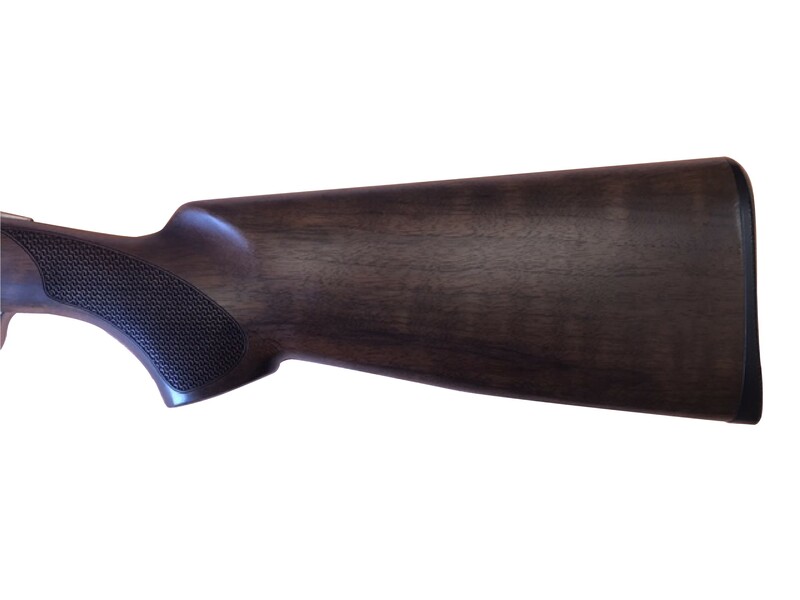 Light oiled wood encorporating a full pistol grip and Schnabel for-end. 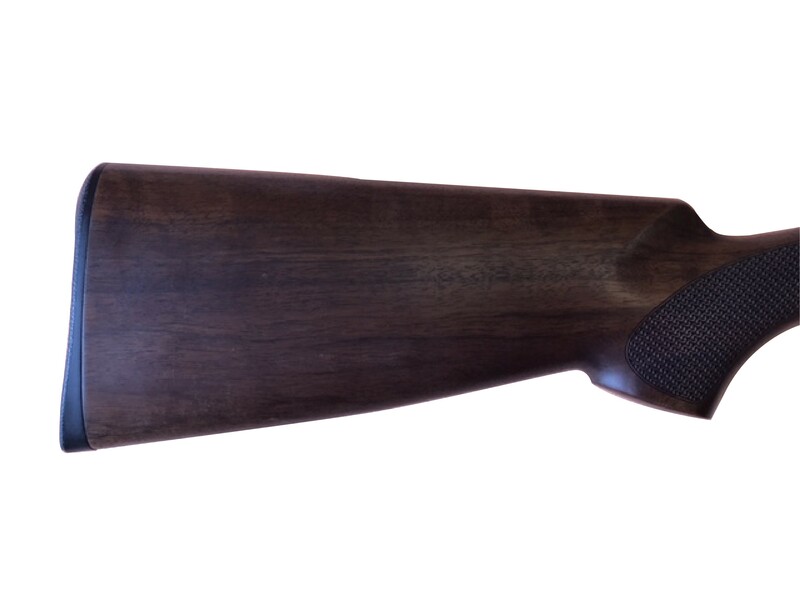 6mm game rib. 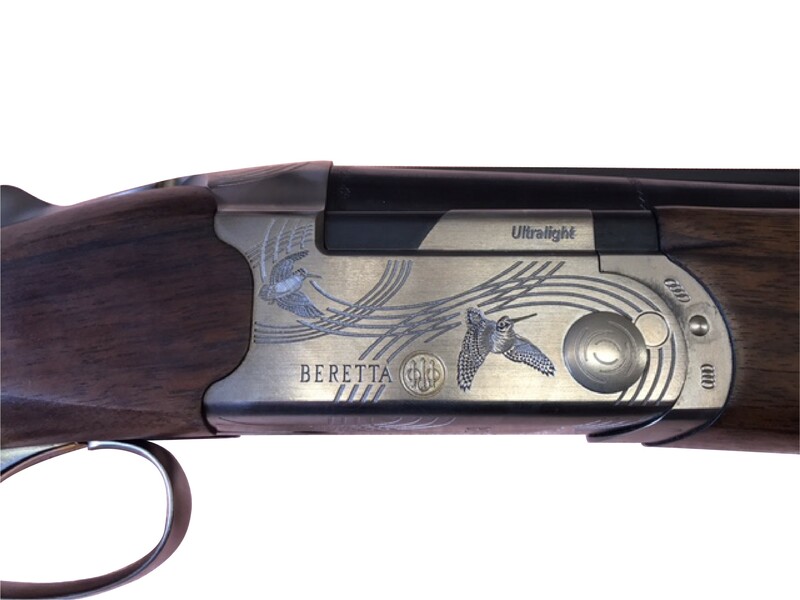 Fantastic condition and complete with case and accessories.